I have already shared in my article about Pentecostal churches I attended that I experienced supernatural phenomenon that I interpreted as miracles of God. I have also explained that these experiences were not accompanied by correct teaching from the Word of God. I received no teaching about repentance, prior to my baptism as a baby, in the church I grew up in. Similarly I received no teaching on repentance prior to my immersion in water at the Pentecostal church I attended in London in 1990. Attendance at church was expected and I was told that there were miraculous appearances of Mary in various places in the world like Lourdes in France. In both the Old and New Testament we see the Scriptures clearly teach that God’s miracles had very specific purpose. Moses was commanded to perform fascinating miracles specifically to confirm the message he was given by God for Pharaoh. The widow of Zarephath was not overawed by the miracles themselves but saw them as a confirmation of his message regarding the sin of Israel and her own sin (v18). In the New Testament too the miracles of the Apostles had the very same purpose some 1200 years later. This same purpose is seen throughout the Early Church. Hebrews 2b:3-4 This salvation, which was first announced by the Lord, was confirmed to us by those who heard him. God also testified to it by signs, wonders and various miracles, and gifts of the Holy Spirit distributed according to his will. The message of the Apostles was confirmed by the miracles AND the gifts. This is spoken of in the past tense and I have dealt with this in my articles about the miraculous gifts. The miracles of the first century disciples were evidence to confirm the Word. As I showed in my article about modern technology and the technology of the first century church we now have the finished Inscripturation of the Word of God that we call the Bible. This was completed in the first century. The messengers (Apostles) brought us the bible. No-one after this time needed to confirm the message. The Bible now speaks for God. Most of the miracles and miracle workers in the world do not confirm the bible but (as I have shown) contradict it in many ways deceiving millions of people. I believed in these false miracles at one time. It can be hard to shrug off that belief. The truth can set you free! 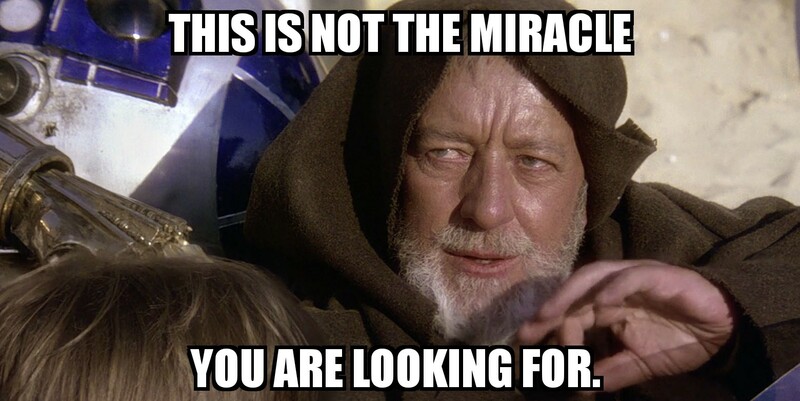 Comments Off on HS9.1 – What was the purpose of biblical miracles?